As a result, Korean teachers did not feel more empowered as the autonomy felt artificial. The authors noted that “curriculum scholars need to examine more closely when and how teachers’ curricular autonomy promotes positive results in practice.” They also noted that teachers who participated in the study felt that autonomy was impossible when subject area content standards remained unchanged. While the current government in South Korea is pursuing a new revision of the national curriculum, one that focuses on cross-disciplinary thinking, attention to teacher autonomy is quickly waning. As Hong explains, the Korean cases illustrates some of the complexities of government-initiated curricular autonomy and raises questions about what it might take to support teachers’ autonomy in productive ways. Similar concerns about teacher autonomy have been echoed in news reports from around the world as well. For example, one report from Canada decries the country’s lack of support for teacher professionalism, and provides a comparison with Holland, Finland, Switzerland and Japan; teachers in British Columbia call for greater control over their own professional development; leaders of the Labour Party in the UK have criticized what they see as an ‘exam factory’ approach to schooling, and call for more teacher autonomy; and, a new national curriculum in Wales has been designed to allow for teacher autonomy. However, is everyone talking about the same thing? Does “autonomy” = more responsibility? In another article from the UK, Labour Party leader Tristram Hunt criticized what he called the “exam factory” approach to schooling, and called for changes from the “bottom up, ‘through giving teachers and school leaders the freedom and autonomy to deliver an exciting education.’” However, as with much of the discussion on teacher autonomy, there is little attention to how teachers and schools interpret what the term “autonomy” means, and/or what it is that teachers and schools want to do, or will be expected to do, with this autonomy. Will teacher autonomy lead to the excitement and innovation that many hope for? Or, will it leave teachers alone to address the needs of the students and the community? 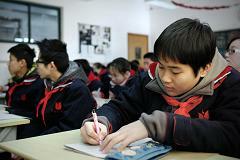 For example, in Shanghai, teachers are expected by parents to prepare students for high stakes exams. As one article explains, student performance on such exams is so important that parents are willing to attend school with their children so that they can learn the material and reinforce it at home. Lacking support, teachers might feel pressured to do more of what they feel they need to do, which might be more test prep. A scan of online news reports published in countries around the world over the past month found that current reports on the topic of early childhood education show a range of economic concerns. While the news in some countries focuses on early childhood education as it relates to childcare, others focus on the connection between education in the early years and economic development. For example, reports from China focus on education as one aspect of whole child development, and similarly, reports from Thailand, India, and Australia, emphasized that early childhood education can be a crucial factor in lifting individuals out of poverty. Other reports focus on the ways in which early childhood education can be an overall investment in a country’s future. In a recent article, titled “Household income and preschool attendance in China,” Xin Gong, Di Xu, and Wen-Jui Ham, found a positive association between household income and preschool attendance in both rural and urban settings. By showing that household income is influential in determining which children access early childhood education, this article relates with findings presented in a recent report on early childhood development by UNICEF. The UNICEF report points out that “millions of children, especially the most marginalized, are excluded from school,” and finds that international funding for education is on the decline. Yet, according to an article in Want China Times, China has increased spending on early childhood education, budgeting 50 billion yuan ($8 billion) for a three-year project to provide access to quality education. At the 27th annual International Conference for School Effectiveness and Improvement, held in Yagyakarta, Indonesia, early this January, Dr. Jane B. Huffman presented a paper, “Professional Learning Community Development in High Schools: Conceptualizing the PLC Process through a Global Perspective,” in which she shared her research on the PLC process within multiple Asian cultural contexts. In a recent conversation with IEN Contributing Editor Paul Chua, Huffman defines professional learning communities (PLCs) as “professional educators working collectively and purposefully to create and sustain a culture of learning for all students and adults.” She described PLCs as a multi-dimensional process, including shared and supportive leadership; shared values and vision; collective learning and application; shared personal practice and supportive conditions. 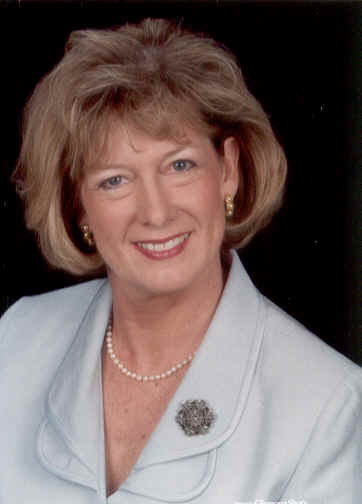 Through her research in the U.S. context over the past two years, she has found that successful implementation of PLCs district-wide depends on a coordinated vision of leadership working together towards a common goal, strong interpersonal relationships, and carefully targeted professional learning. While the PLC process has been practiced and studied in Anglo-American cultures for twenty years, Huffman’s work with the Global PLC Network extends this work to non-Anglo countries including China, Hong Kong, Singapore, and Taiwan. Huffman and four research colleagues – one each from Hong Kong, Singapore, Taiwan, Australia and the U. S. – began the network in 2009 by studying schools in Taiwan and Singapore that were using the PLC model. From those conversations, they began to construct the essential structures of what came to be called the “Global PLC Model.” Their research on the global construct has five facets for development: structures, policy and procedures; leadership; professionalism; learning capacity and a sense of community. A Dr. Huffman explained, a brief history of the five educational systems show that external and internal differences in educational systems make it impossible to create a ‘boilerplate’ improvement effort that will fit all contexts and meet all teacher and student needs. In Taiwan, the Ministry of Education (MOE) PLC policy began in 2009 and encouraged K-12 teachers to build school-based PLC teams for teacher professional development. Some government programs, such as a high school improvement project (School Actualization Program) and science education (High Scope Program), continue to motivate teachers to establish subject-based or interdisciplinary PLCs for curriculum innovation or professional development. In Singapore, PLCs started in 2000 with the establishment of Teachers Network, and Learning Circles, a teacher collaborative learning model of action research. In China, although the term PLC is seldom used, schools have a long history of enhancing teachers’ professional competency and instructional skills through collaboration and collective inquiry. In Hong Kong, early steps have been initiated to establish policies related to PLCs. For more on the topic of Professional Learning Communities and how they are being put to use in various countries around the world, readers can look back to Dr. Huffman’s earlier publications and earlier conversation with ICSEI President Dr. Alma Harris, who shared that some of the debates about professional collaboration range from discussions about the best models to follow, about the time and resources available to support these activities, and the issue of impact. In addition, in a recent conversation with IEN, Dr. Philip Hallinger, described the some of the issues related “policy borrowing,” in which countries attempt to utilize policies that have been successful in different contexts. News reports from this past month have shown that many countries are rethinking the role of vocational training in their education systems. In Denmark, www.dr.dk reports that the government is considering new academic entrance requirements to vocational programs that some fear would result in thousands of students being barred from such programs. Denmark is not alone in it’s effort to “raise the bar” on vocational education. 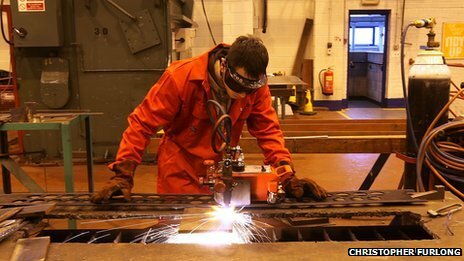 The BBC reported that a survey of British employers showed almost 60% believe the government does not do enough to provide students with the vocational training they need. The Guardian has also reported that a new standard will be applied to vocational education, allowing for diplomas endorsed by companies such as Kawasaki, Honda, and Volvo, but also hotels and even the Royal Ballet School, which is backing a qualification in performing arts. Similarly, Thailand is also pledging to reform education to meet the demands of employers by reforming their system of vocational education. As reported in The Nation, the Education Ministry shared plans to work with the private sector to jointly design curriculum and training programs that give students real-life experiences as well as an academic education. The Thai government will also work with Germany, Australia, Japan and China – countries that have large investments in Thailand. However, in an earlier article, The Nation also reported that some researchers have expressed concerns that the government could still be doing more. Similar news reports, collected from online sources over the past month, show a widespread call to improve vocational education, to reconsider the academic curriculum, and for educators to work alongside employers. These reports can be found coming from countries such as Malaysia, Nigeria, The United Arab Emirates, Liberia, Sudan, Ghana, Ireland, and India. Recent articles from www.dr.dk and The New York Times, describe recent moves toward more inclusive education policies in Denmark and China. In Denmark, the policy aims to include students with behavioral and learning difficulties in public primary and lower-secondary schools. 10,000 children are expected to be transferred to standard schools by 2015. The Danish Union of Teachers supports the idea, but is concerned that schools don’t have the necessary resources and support; parents are concerned that teachers are not trained to teach in inclusive classrooms. China gave disabled citizens the right to attend mainstream schools in 2008. According to the New York Times article, in September 2012, about 8,700 disabled children began school in Beijing, with about 5,700 going to mainstream schools and nearly 3,000 to special schools. As in Denmark, parents have, in some cases, objected to the inclusion of disabled children in class. Experts have called for more trained therapists in schools, and a loosening of bureaucratic and political control to allow specialists with “on-the-ground” experience to be in charge.